Do you notice that your home seems to be hot in the summer and cold in the winter? No matter how much you pay in utilities, this always seems to be the case! Insufficient attic insulation may be your problem…. Adequate attic insulation insures that your heating and cooling system doesn’t work overtime and waste valuable energy dollars. At The Bosworth Company, we use safe, fiberglass insulation known as Insul-Safe III insulation. Insul-Safe III is noncombustible, nontoxic, not corrosive, and it as permanent as glass. It won’t rot or decay and contains no chemicals to corrode wires or pipes. This insulation is blown into every nook and cranny of your attic to keep your home warmer in the winter and cooler in the summer! Fiberglass insulation is a one-time cost that lasts for the life of the building (typically 50-70 years) and requires no further maintenance. Save Money On Energy Bills! We understand that you spend a lot of time and money keeping your home comfortable. It can be very frustrating knowing that your utility bills are high, yet the temperature of your home is still uncomfortable. According to the Department of Energy, by adding the proper amount of attic insulation to their homes, homeowners could save as much as 32% on utility bills! 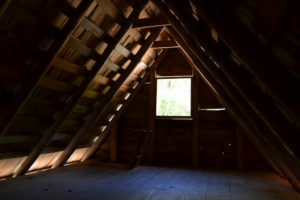 You may be considering tackling an attic insulation project yourself; however, to be certain that the job is done right the first time, it is best to trust the professionals. You can be confident that your job will be done right the first time, saving you both time and effort (not to mention endless trips to the hardware store)! Bosworth is Worth The Call. Make this season the last one that your home is uncomfortable due to poor attic insulation. Call The Bosworth Company today! We’re worth the call. Always. Call (432) 570-5233 or schedule service online!